There are a few brands which are known for helping protect the skin from dryness or minor injuries and irritations. Two of these brands are Aquaphor and Vaseline. They are both skin care ointments that moisturize the skin, help avoid skin dehydration, and protect from minor skin injuries. Though similar in product benefits, these two brands differ in certain ways. Continue reading this article to find out the differences between Aquaphor and Vaseline. Aquaphor is a brand of skin care ointment that is known in the United States and has been in that market for more than 90 years. It can be bought over-the-counter and is a product manufactured by Beiersdorf Inc. 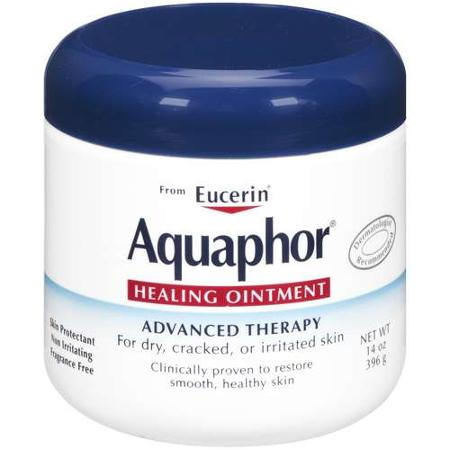 The brand Aquaphor has four main product ranges, namely: Aquaphor Original Ointment, Aquaphor Advanced Therapy Healing Ointment, Aquaphor Lip Repair, and Aquaphor Baby. Aquaphor contains 41% petrolatum together with other ingredients such as lanolin, ceresin, mineral oil, panthenol, glycerin, and others. This product is used in resolving minor skin injuries such as scrapes, burns, minor cuts, chapped or cracked skin and lips, and also to protect the skin from drying. Furthermore, it is also prescribed for use in minor post-operative wounds. 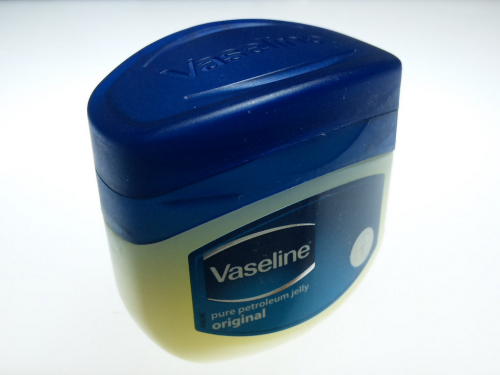 Vaseline is a well-known brand of petroleum jelly-based products owned by the Unilever company. The brand name also carries a wide selection of other skin care products such as creams, soaps, lotions, etc. But here we’re going to focus on Vaseline petroleum jelly. The product is made out of 100% petrolatum and is used as a lubricant or moisturizer for dry skin. The product is effective in acting as a moisture insulator, helping the skin avoid dehydration. Vaseline can also be used to help protect the skin and lips from minor cuts, burns, and from chapping or cracking. What is the difference between Aquaphor and Vaseline? Aquaphor is an ointment which is 41% petrolatum and contains other ingredients such as lanolin, ceresin, mineral oil, panthenol, glycerin, etc. Vaseline, on the other hand, is 100% petrolatum. Aquaphor is mainly used for skin care and is useful in resolving skin injuries, whereas Vaseline is used as a lubricant and moisturizer, with a minor role in resolving skin injuries. Aquaphor as a brand is known mainly in the United States compared to Vaseline, which is known worldwide.